I've been stumbling upon some images and tidbits that seemed too specific in their nature to warrant an Unrelated thread post. So, this will be a thread for sharing interesting tidbits of experience, knowledge and resources related to fighting, some of which will be originating from my own camera, I'm sure. If you want to post an interesting picture or an article about fighting, or if you wish to relay your own fighting experiences to others, this is the place to do it. Okay, now to some more serious observations: The two-piece construction might have been a hint, but sallets aren't good for jousting. Actually the image on the bottem of the page attracted my interest, but it is quite a nice study on leg and hip strikes based on historical documents. Curiously, the master Fiore Dei Liberi in his treatise of 1410 reasonably advised: "When someone strikes to your leg, step slip with your forefoot. You retreat backwards and strike a downward cut in his head..."
Now, I'll give you three guesses whether we have a maneuver that's literally called Slip & Strike or not. 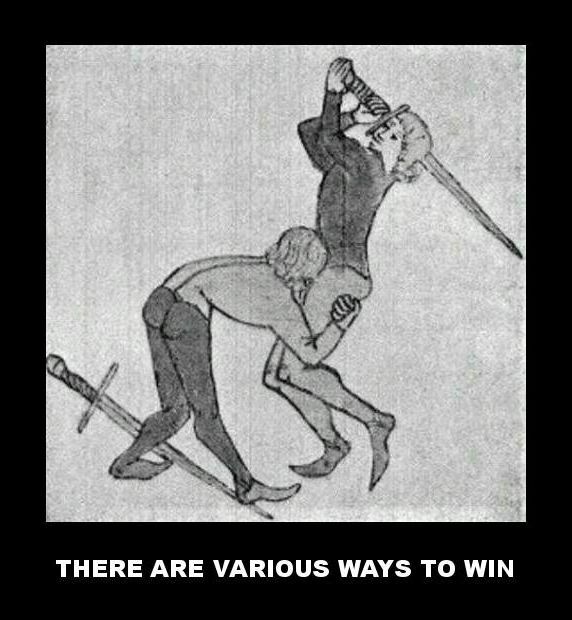 If anyone is wondering about how that advice works (probably not, but there might be one or two), it's because you have to be much closer to hit a person's leg than to hit their head - even after you are out of their range, they're still in your range assuming similar length weapons. Thossed the bananahusk at thine opponent's foot and striketh at head? hector wrote: If anyone is wondering about how that advice works (probably not, but there might be one or two), it's because you have to be much closer to hit a person's leg than to hit their head - even after you are out of their range, they're still in your range assuming similar length weapons. This is all undoubtedly true, but... as with most things in life, nothing is really as simple as it seems. When we first tackled our game, the wound wheel modifiers were something that we were definitely going to include in the final release. No question about it. Arms easier to hit, lower legs harder, etc. The idea of not putting any modifiers on the wheels seemed... just not accurate enough. Waaaaay too Narrative, which simply would not do. Then I got into full-contact swordfighting and we scrapped the idea almost immediately. Now, don't get me wrong. Überlaufen is definitely a thing and the old fencing treatises refer to that, but... Things change quite a bit if you take on a different weapon. Legs rarely get hit in longsword bouts, but pick up sword & shield and they'll be almost the primary target. Most other weapons don't differ as radically as these two, but the differences are definitely there. In game terms, we basically would have needed to include a unique set of wound wheel modifiers with every single proficiency. Which would be just insane, especially considering that you'd need to base the modifiers not on the proficiency that you are using, but what your opponent is using. Who would ever want to go into that much detail? Well, not me, that's for sure. And there's even research that goes into extreme detail about it. 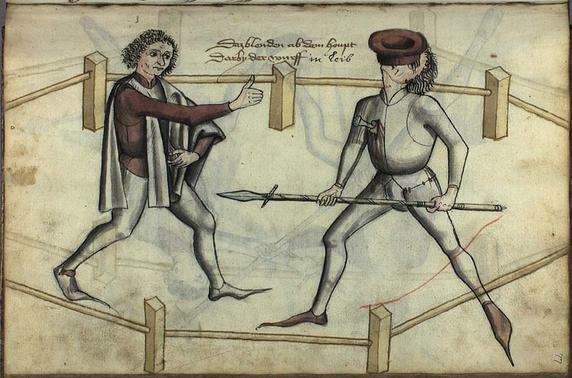 Here's a good one: Fact-checking fight-books: comparing historic injury patterns to strikes in modern European sword arts. So, yeah. If you should ever think that the lack of hit location modifiers in 'Bastards was a design choice for simplifying the rules by sacrificing realism, then... Well, think again. Compared to having a single set of hit location modifiers, it was actually a design choice for simplifying the rules by adding realism. Now there's some interesting reading. 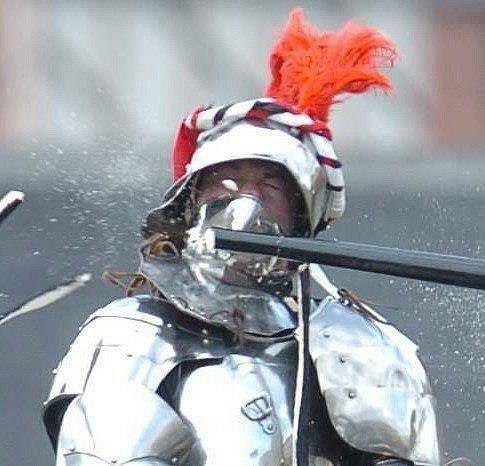 As for legs being common targets with sword and shield (presumably strapped on shields rather than centre grip), I would suspect that this is because while you have to get closer to hit them, they're also harder to defend because the shield gets in the way of seeing the incoming blow, while at the same time the shield makes the head much easier to defend. But that is pretty much just a guess with no basis in actual experience. In general, if armour and a shield aren't an issue and your opponent is of a similar height, the torso is a nice, wide target that's easy to hit (assuming the opponent doesn't do something to stop you), the head is harder to hit because it moves around a lot, but it's close to shoulder height so you can attack at the same range as attacking the torso, the arms tend to move around a lot, and whether they're easier or more difficult depends on how the opponent is holding their weapon, while the legs are lower down, and so require you to get closer in order to hit them. To paraphrase Roland Warzecha, the only way that stops being true is if your arm grows out of your arse . Yes! The protection of center grip shields has much to do with geometry. You hold it out in front of you (edge first) and simply the virtue of doing so puts the legs so far away from the opponent as to make them extremely dangerous to attack. With a strap shield, you lose a lot of that distance, so, the legs become easier to reach. And speaking of protecting with geometry, bucklers are a great example of that. Unlike large center grip shields, they don't have much reach at all, and unlike strapped shields, they don't have the large size to provide passive protection either. As such bucklers basically rely on geometry alone to provide the protection. hector wrote: To paraphrase Roland Warzecha, the only way that stops being true is if your arm grows out of your arse . 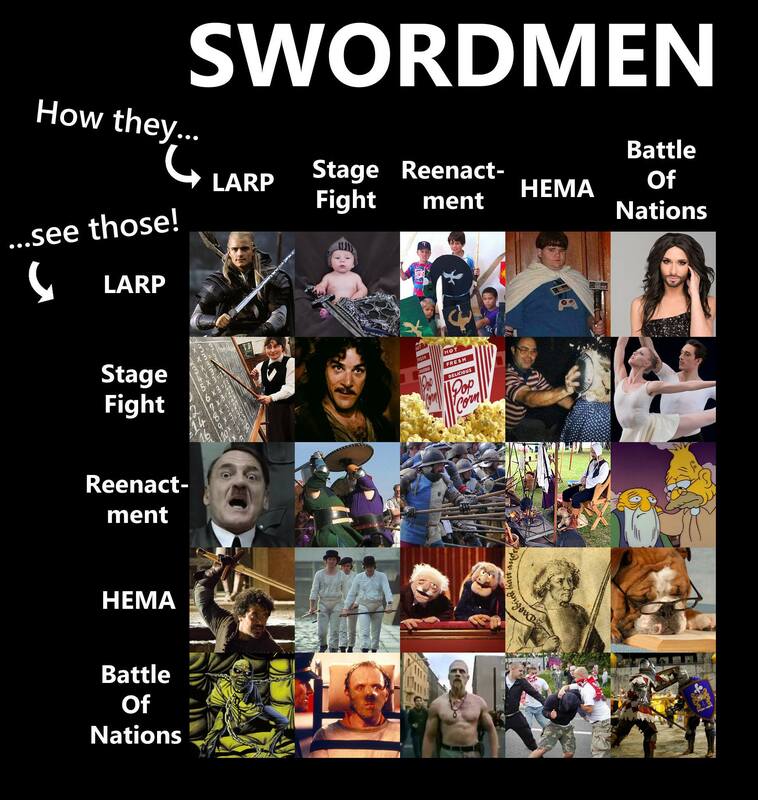 Not so much a fighting observation, but a fighting culture observation. Preeeeeetty accurate. Click for the supersized version. This is kind of a no-brainer, but worth illustrating: MAINTENANCE MATTERS! When trying out new armor configurations, one would be wise to try them out with padded weapons or nylon wasters before moving on to real steel. higgins wrote: When trying out new armor configurations, one would be wise to try them out with padded weapons or nylon wasters before moving on to real steel. At least you weren't testing cups? Thankfully not. I tried skipping the suspenders to get more agility to my upper body and relied on the belt alone to hold all my leg armor up. Worked fine for three trainings... and then it didn't. Somehow the poleyns slid waaaay down and basically exposed my whole knee. The first sign of anything being wrong was me being hit. I'll try to schedule an MRI tomorrow. Little known fact, Oddjob was actually a student of talhoffer, as we see here demonstrated by the advanced hat-throw maneuver.